Written By: Anthony Clayton Carr, B.P. Narrated By: Anthony Clayton Carr, B.P. Stress - The negative dividend of our modern lifestyles. As our World whizzes forward at warp speed - our stress levels rise accordingly. Causing all manner of physical and emotional ailments. While we can't eliminate stress entirely from our lives - we can learn to manage it. 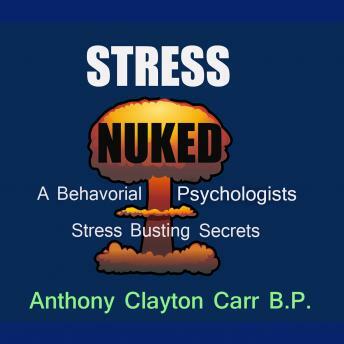 In this illuminating book, British Behavorial Psychologist Anthony Clayton Carr, explains how we can minimize the effects of stress to live positive and productive lives. by Anthony Clayton Carr, B.P.